Yeah, that is classic delusion. The players all magically changed the minute she became a head coach, lol! Way to pass the buck Holly! The difference is those other coaches overcome adversity, and win. Pretty weak stuff considering that the men's team exhibits the exact opposite traits to what she laments. After Pat saw what has become of her beloved program, she might be arrested for verbal and physical abuse of her protege. Holly recruits these players. She has had 7 years to coach and all she can do is blame the players. 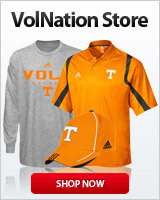 That tells me its time for a change at Lady Vols head coach. She has shown she can't coach them. Giove Mathew Mitchell a call. It's odd that many other teams have these fundamentals. Holly must be right though. This will absolutely blow up in her face and rightly so. These ladies on this team are going to resent her and what recruits would want to play for someone who will do nothing but blame them when it's obvious who the real problem is? Keep talking though, Holly, the day you are terminated (what a great day that will be) is inching closer and closer. In that same interview Holly said she never looks to what outside forces are saying and the only time she knows it's not good is if someone comes to her and says "How you holding up"? or some crap like that, I may be paraphrasing a little. So she's basically covering up her ears and saying "Lalalala, I can't hear you"! I've also noticed that in press conferences or interviews where she is pressed a bit, she is quick to bring up Coach Summitt's name in a way as to use it as a shield. In the last loss, Warlick said Pat would be proud of their effort. Now, she's talking like even the great legend Coach Summitt wouldn't know how to handle today's players, as if. It's called adjustment Holly, learn it, seriously. I'm watching Geno Auriemma chew his players out right now on the bench, live during their loss to Louisville. Weird. And Mulkey will do it in a heartbeat, she has a similar intensity as Coach Summitt. That was embarrassing. I wish I hadn’t read it. OMG! When will it ever end? Just once, just one time, could she not take a little responsibility and stop blaming the kids for every single thing that is wrong? And if I wasn’t 100% over her before, I certainly am now with that asinine and to me disrespectful comment about Pat.